Kobe Bryant has been announced as the global ambassador for the FIBA basketball world cup 2019 to be held in China. Kobe Bryant who is former NBA and National team superstar bagged five NBA championships playing for Los Angeles Lakers and two time Olympic gold medals for the USA. Owing to his innumerable tremendous performance on the court, he is considered as one of the most greatest athletes in the history of American basketball. 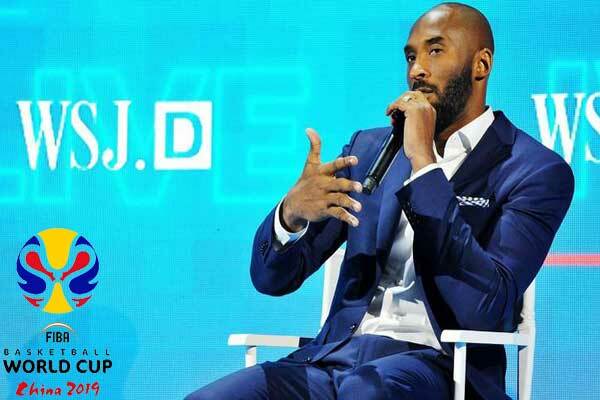 Kobe Bryant’s popularity in china is on boom which can be considered with the fact that he is the most followed NBA Player on over Chinese social Media, estimating around 6.84 million followers. Bryant announced his role via Twitter. A five-time NBA champion and two-time Olympic gold medalist, Bryant visited China multiple times for branding and marketing events during his playing career. He also visited China not long after announcing his retirement from the NBA. The basketball World Cup is a 32-nation tournament played from Aug. 31 to Sept. 15 in eight different cities. Bryant’s role as global ambassador includes promoting the World Cup and leading activities on the Road to China 2019.